Cleveland- As first reported by ESPNs Adrian Wojnarowski this afternoon the Cleveland Cavaliers have inquired the about Jimmy Butler. The Minnesota Timberwolves had been sending out mixed singnals about the availability of the All-Star, but have since made it known that he his very available. Woj had wrote earlier this morning before the Cleveland news that a number of teams had reached out to Minnesota. Among those teams mentioned the Brooklyn Nets, Los Angeles Clippers, and the Portland Trailblazers headlined the list. 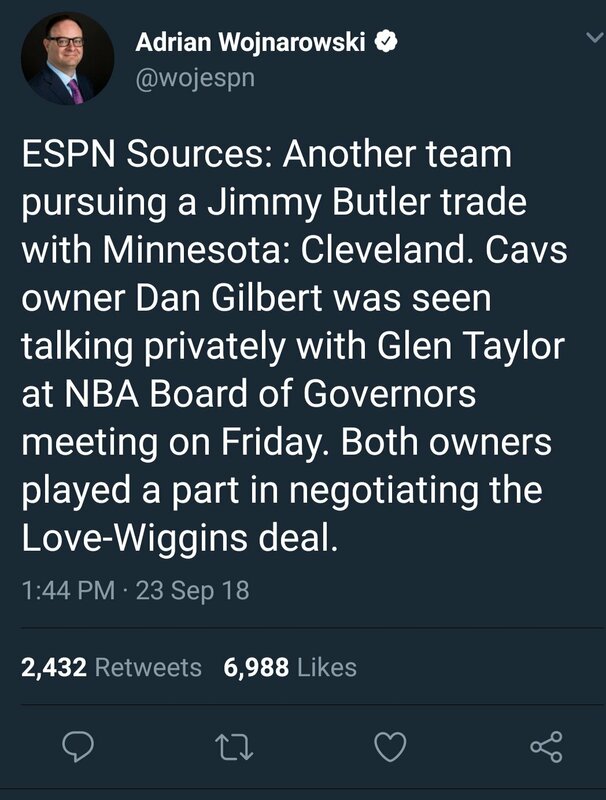 Knowing the history of Cavs owner Dan Gilbert it shouldn’t surprise anyone that Gilbert spoke with the Timberwolves about a potential deal. With that being said it it will be interesting to see if the Cavs offer gets reported. The front office has made it known that the want to make the playoffs this season, despite the roster turnover. The selection of point guard Colin Sexton and re-signing of Kevin Love shows that the front office wants to re-load and build around Love. A Cavaliers offer would most likely be based around Sexton and a future 1st round pick. You would also wonder if Cedi Osman would be enticing to the Timberwolves. If you’re the Cavs you would like to trade away one of your “bad” contracts, which could possibly throw Jr Smith into a possible trade. At this point it’s a guessing game where Butler will end up. Knowing that he has the ability to leave next summer in free agency will definitely influence what teams offer, so the market will be fun to follow. A team built around Love and Butler would make the Cavs a more competitive team this season but could hinder their future as well. 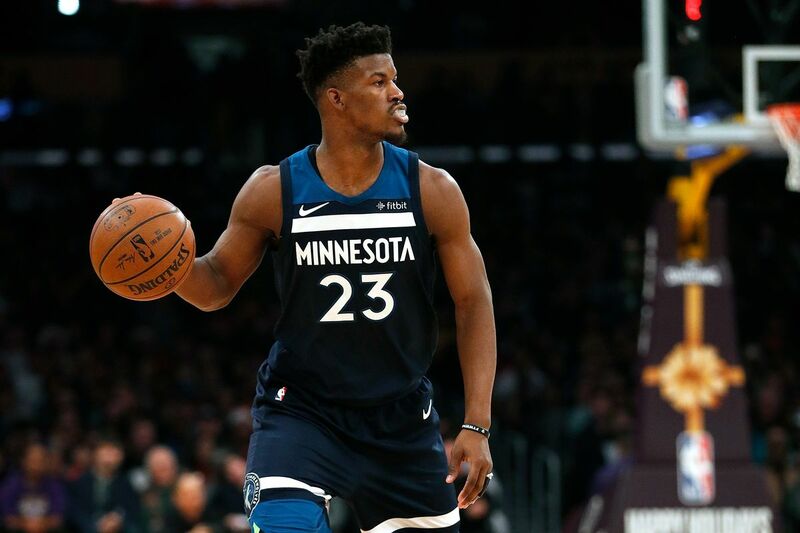 This story is expected to be resolved in the next few days as the Timberwolves have made it known their ready to turn the page on and focus on this season. Buckle up Cavs fans things could look a lot different by the end of the week.